Are you an Illinois lawyer interested in offering limited scope representation to prospective clients? This page seeks to help practitioners like you by presenting the key legal references, background information, and resources about limited scope representation in Illinois. The information here is designed to help orient lawyers to limited scope representation. It is not the final or complete word on how to provide limited scope representation within the bounds of the Rules of Professional Conduct or according to a professional standard of care. Lawyers consulting the information on this page should use their professional judgment in determining how to provide limited scope services. Limited scope representation is governed by the Illinois Rules of Professional Conduct and the Supreme Court Rules. Supreme Court Rules 11, 13 and 137 were amended effective July 1, 2013 to permit lawyers to provide limited scope representation in civil proceedings. Rule of Professional Conduct 1.2: Paragraph (c) permits lawyers to limit the scope of their representation where reasonable under the circumstances and with the client’s informed consent. See also comments -. Rule of Professional Conduct 4.2: Comment [8A] addresses communications by a lawyer with a person represented on a limited basis under RPC 1.2(c). Rule of Professional Conduct 5.5: Comment  states that lawyers may counsel non-lawyers who wish to proceed pro se, including through assistance provided under Supreme Court Rules 13(e) and 137(c)(6). Supreme Court Rule 11: Paragraph (e) contains the requirements for service when a party is represented by a lawyer making a limited scope appearance pursuant to Supreme Court Rule 13(e). Supreme Court Rule 13: Paragraph (c)(6) permits and lays out the procedures for lawyers to make limited scope appearances in civil proceedings. Paragraph (c)(7) addresses withdrawal from limited scope appearances. The rule contains the forms required by the rule. (Links to the forms are below.) The commentary discusses limited scope appearances and withdrawal in detail. 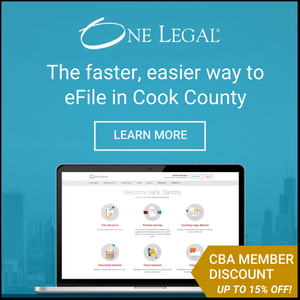 Supreme Court Rule 137: Paragraph (e) allows lawyers to provide document preparation assistance to self-represented persons without making an appearance. The committee commentary adds further detail to the provisions of paragraph (e). Lawyers making limited scope appearances under Supreme Rule 13 must use the forms specified in the rule. The forms are reproduced here as a convenience but lawyers should be familiar with the requirements of Rule 13 and the other rules listed above before using them. The Rules of Professional Conduct of 2010 adopted by the Illinois Supreme Court included a revision to Rule 1.2(c) to expressly permit lawyers to limit the scope of their representation. Below are links to articles and reports exploring limited scope representation in Illinois in the wake of that rule change. This is a small collection of non-commercial materials and other resources published to aid lawyers providing limited scope representation. These may provide useful guidance but they are not specifically tailored to Illinois practice. Fee agreements and related materials are presented as samples. General Civil Limited Scope Representation, Risk Management Materials, Limited Scope Representation Committee, California Commission on Access to Justice. The collection of materials on this page was assembled by David Holtermann of the Lawyers Trust Fund of Illinois. He may be contacted by email with feedback about the information on this page or lawyers’ experience providing limited scope representation, but he cannot provide advice or practice guidance regarding individual cases.